As far back as he can remember, Ryan was a Michael Jackson fan. He was just five years old when the Dangerous album came out but vividly remembers watching the Black or White music video upon its release in America. In his teenage years he became an active member of the Michael Jackson internet fan community where, in his 20s, he got to know Charles Thomson. After Michael’s death, Ryan withdrew somewhat from the fan community. Today he lives in Tokyo, where he works for several companies and, in his spare time, hosts the podcast Reason Bound. The show is all about logic and critical thought; what people believe, why they believe it and the importance of being able to recognise good and bad arguments. Each week he and a guest discuss these points in relation to a particular hot topic. Charles’ life also now revolves around logic and critical thought. Since Michael’s death he has become an award-winning newspaper journalist, investigating issues and weighing evidence on a daily basis, in addition to regularly reporting on criminal trials. A few months back, Ryan invited his old friend Charles onto Reason Bound. He appeared in episode seven, where they discussed the justice system and the importance of preserving the presumption of innocence. Given their history, the two of them naturally referred to the Michael Jackson trial several times during the show. August 16, 2004 – MJ attends the pretrial hearings, escorted by LaToya and Janet. After the recording was finished, Ryan felt there was a lot more to be said about the Michael Jackson case. He invited Charles back onto the show to do something neither of them had ever seen done before – to record a podcast where the two of them would discuss the child abuse allegations leveled at Michael Jackson during the latter half of his career – from their inception in 1993 through to his 2005 trial – within the context of Reason Bound’s usual parameters; looking at what people believe, why they believe it, and the importance of being able to recognise good and bad arguments. They would discuss the evidence in an unemotional way, testing the theories and arguments of bother Michael Jackson’s fans and his detractors. 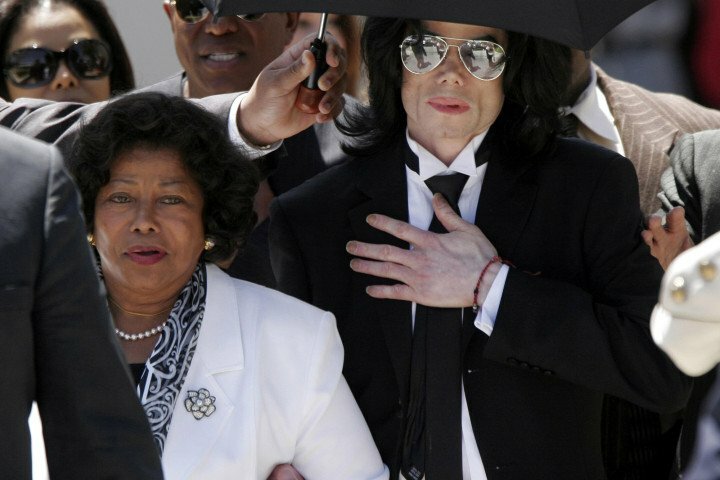 June 13, 2005 – The Jackson Family leaves the court after the veredict. Given Charles’ continuing work with The MJCast, Jamon and Q were given a sneak preview loved the show so much they decided they wanted to air it too. So for the second time in The MJCast’s history we are simulcasting with another show. We are proud to present, for our third annual Vindication Day Special, episode 10 of Reason Bound, titled ‘Pirates in Neverland: The Michael Jackson Allegations’. The show goes live today on both The MJCast’s channel and Reason Bound’s. We thank Ryan for working with us on this episode and we encourage you to head over to iTunes and check out some more of his thought-provoking episodes. The MJCast’s – Episode 010: Vindication Day 10th Anniversary Special with Tom Mesereau. Listen to this special interview with Michael’s lead defence attorney, Tom Mesereau. The MJCast’s – Episode 005: Kerry Anderson Special. Listen to this special interview with Michael’s Director of Security during the time of his mid 2000’s trial. The MJCast’s – Episode 033 – Vindication Day Special with Scott Ross. Listen to this special interview with Tom Mesereau’s go-to private investigator, who was crucial to the defence team’s success at Michael’s trial.